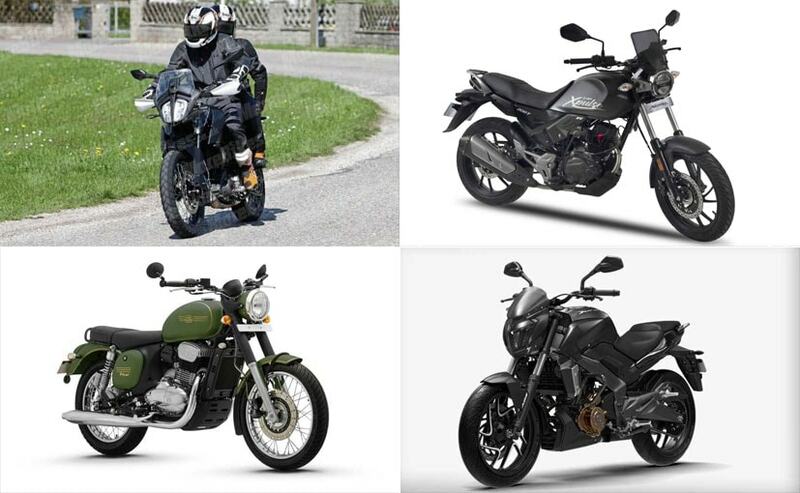 Here's a look at the upcoming motorcycles in the fast growing 200-400 cc segment that are slated to arrive in India in 2019. The motorcycle market grew further in 2018 as we had new and more interesting launches coming from across the globe. The 200-400 cc motorcycle segment continued to grow exponentially with offerings like the Kawasaki Ninja 400, Hero Xtreme 200 R, BMW G 310 R and G 310 GS, as well as the offerings from Cleveland CycleWerks. The segment though holds a lot more potential and we will see a lot of it new launches happening next year as more and more exciting products come to Indian shores. With offerings from Hero, Jawa, Bajaj, Benelli, and more, it's time to take a look at the upcoming motorcycles in the fast growing 200-400 cc segment that will be hitting showrooms in 2019. 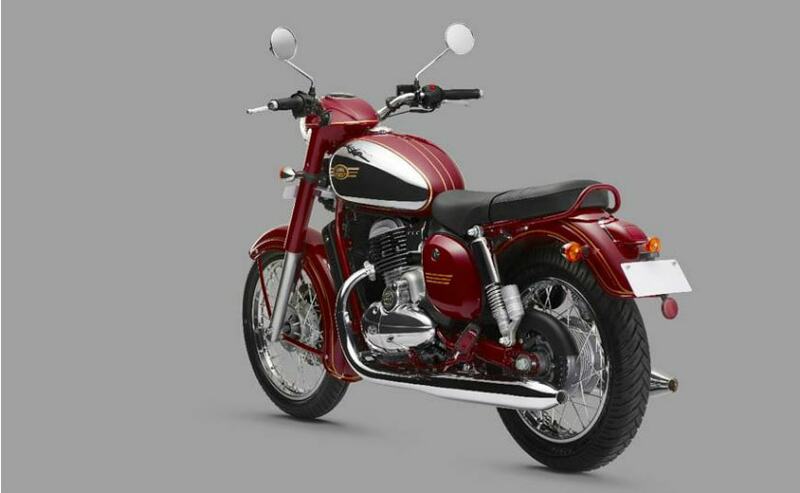 Czech motorcycle maker Jawa is all set to make its comeback in India and resurrecting the iconic brand is Classic Legends Pvt. Ltd., a subsidiary of Mahindra. The company has already showcased its first products under the Jawa brand and it's very first offering will be the motorcycle also named 'Jawa'. The Jawa comes as close as it gets to the modern day version of the original. 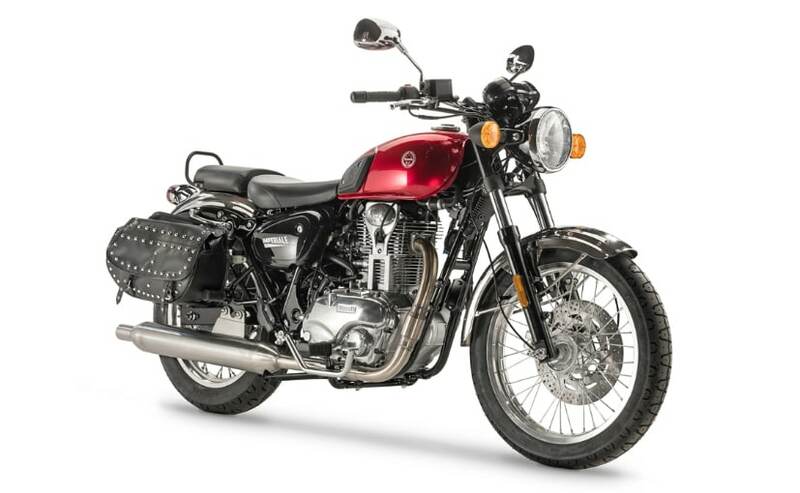 The classic lines with the chrome induced paint scheme, spoked wheels are befitting a retro motorcycle and so is the nearly identical to the original headlamp unit. The analogue instrument cluster and twin exhausts also replicate the original design. Powering the Jawa is a 293 cc single-cylinder, liquid-cooled engine tuned for 27 bhp and 28 Nm of peak torque, while with a 6-speed gearbox. The bike is suspended by telescopic forks up front and gas charged twin shocks at the rear, while braking performance comes from a front disc and rear drum brake. Single-channel ABS is offered as standard. Jawa is in the process of setting 105 dealerships across the country which should be operational by early next year, which is also when deliveries of the new motorcycle will begin. Based on the Jawa, the Jawa 42 is a slightly modern iteration of the classic design and will be the most affordable offering in the bike maker's line-up. Jawa will be introducing the 42 alongside the Jawa motorcycle, and the former differentiates itself with a host of changes including an offset instrument console, matte paint scheme, blacked out engine and wheels. The engine and output remain the same as the Jawa and so does the suspension and braking configuration. The Jawa 42 though is targeted at a younger customer base, which would want the brand without its nostalgia. The surprise unveil from Jawa Motorcycles, the Jawa Perak is a factory-ready custom bobber and will be bringing something unique to the segment. The bike has been named after the original Jawa Perak that was developed during the war era discreetly, and Jawa says a similar approach was taken when developing the Perak this time too with only a handful of people knowing about the project internally too. What separates the Perak from the Jawa and Jawa 42 is the revised styling, single seat and an all black finish. The bike also gets a bigger 334 cc single-cylinder, liquid-cooled engine that will produce 30 bhp and 31 Nm of peak torque, while the rear suspension gets a monoshock unit instead of twin shocks seen on the other models. 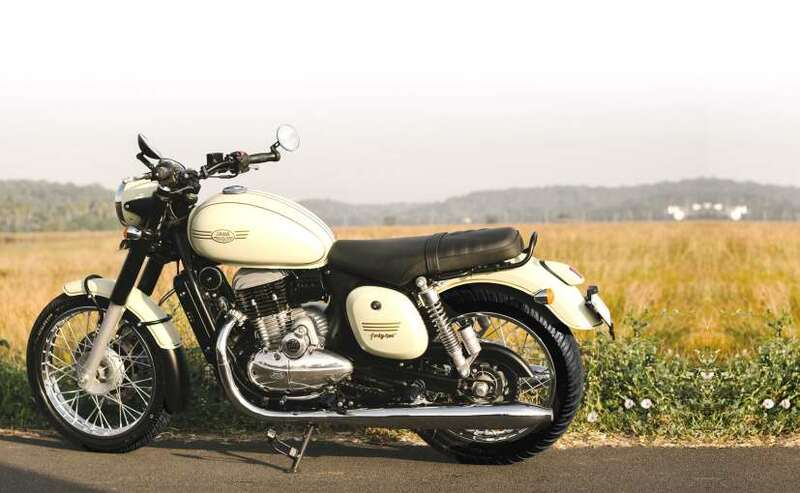 The Jawa Perak also comes with disc brakes at either end and dual-channel ABS as standard. The motorcycle is still under development and will only hit the showrooms in the second half of 2019. 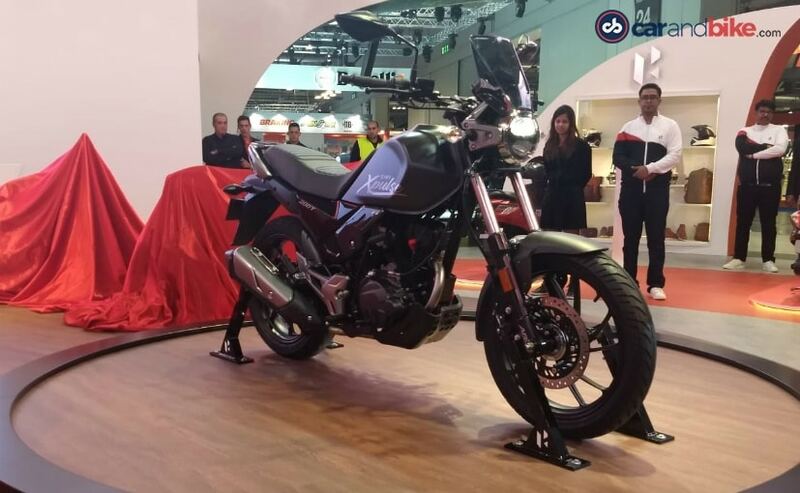 Hero MotoCorp surprised with the unveil of a new XPulse version at the 2018 EICMA Motorcycle Show. The Hero XPulse 200T is the tourer-friendly version based on the XPulse 200 and will be launched alongside the adventure-ready version. The bike shares its mechanicals with the XPulse including the 200 cc engine and frame, LED headlamp, single-channel ABS, digital instrument console with Bluetooth connectivity and more, but has been reworked to be more rider-friendly for spending longer hours on the saddle. The 2019 XPulse 200T gets a more relaxed riding position, 30 mm lower ground clearance, taller gearing and new handlebar. It also gets a luggage rack to improve the load carrying capacity. In addition, the bike rides on smaller 17-inch wheels, and gets tarmac friendly MRF tyres. The Bajaj Dominar was launched in late 2017 and rumours are rife that a comprehensively updated model for 2019 is all set to arrive soon. The 2019 Bajaj Dominar has been spotted several times now and will get cosmetic and mechanical upgrades possibly including USD forks instead of telescopic units and a DOHC configuration for the engine instead of a SOHC one seen on the current 373 cc mill. The power output could see improvements as well, up from the current 34.5 bhp and 35 Nm of peak torque. The 2019 Dominar is also expected to get a new engine bash plate, exhaust muffler and possibly new colours as well. The updates are likely to drive up prices by a small margin. The unicorn in KTM's global line-up, the 390 Adventure has eluded enthusiasts for long but not anymore. 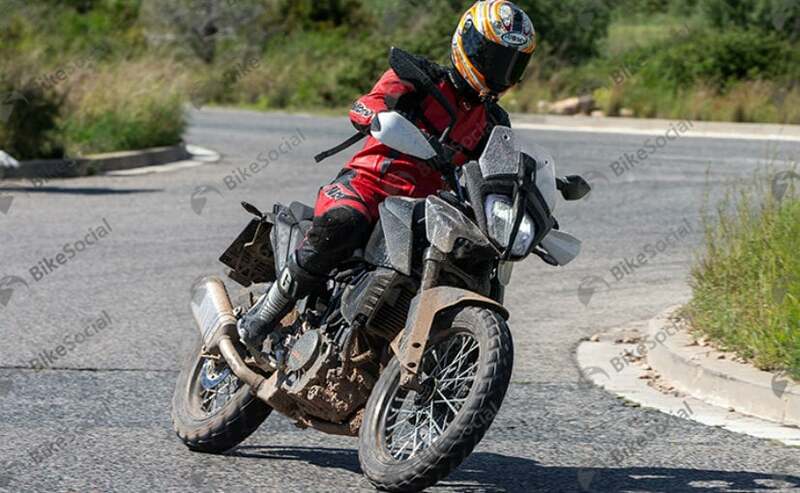 The KTM 390 Adventure is confirmed to arrive and while it wasn't showcased at EICMA this year as "we" expected, the model is coming in next year for sure. KTM India has confirmed that the 390 Adventure will arrive in the country in 2019 and India is likely to be one of the first markets to get the motorcycle. The bike will get a new rear subframe, higher ground clearance, dual purpose tyres, and revised power output from the 373 cc single-cylinder engine. The suspension too will see long travel to make the model more friendly off-tarmac. The KTM 390 Adventure will take on the BMW G 310 GS and the Royal Enfield Himalayan in the segment with prices expected to be competitive. 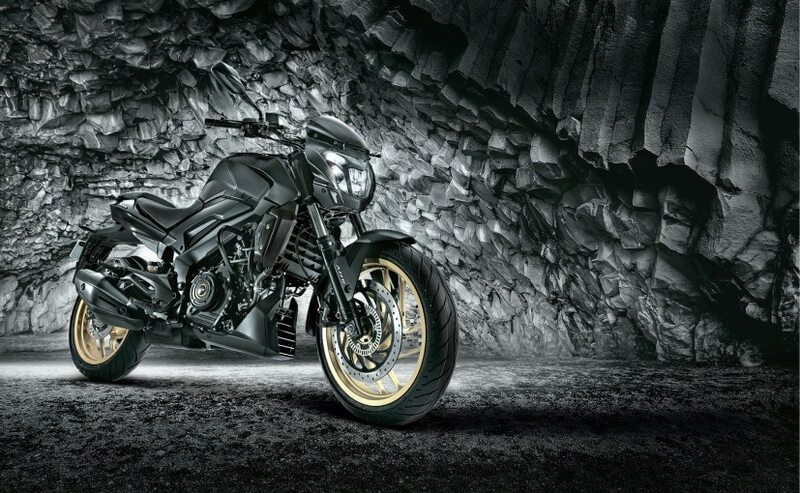 Italian bike maker Benelli has started its second innings in India with the Mahavir Group and has a host of motorcycles planned for launch from its global line-up. While the Leoncino and TRK 502 motorcycles are likely to arrive first, the company has also been considering to bring the Imperiale 400 that could arrive in India in 2019. The Benelli Imperiale 400 was showcased at EICMA in 2017 as a Royal Enfield challenger. The bike uses a 373.5 cc single-cylinder, fuel-injected engine tuned for 19 bhp and 28 Nm of peak torque. The bike uses 41 mm telescopic front forks and twin shock absorbers, while twin discs take care of braking duties. The classic lines makes the Imperiale a good looking motorcycle and could come as a new offering in the segment dominated by RE. Details on the launch though are uncertain with no official confirmation yet. 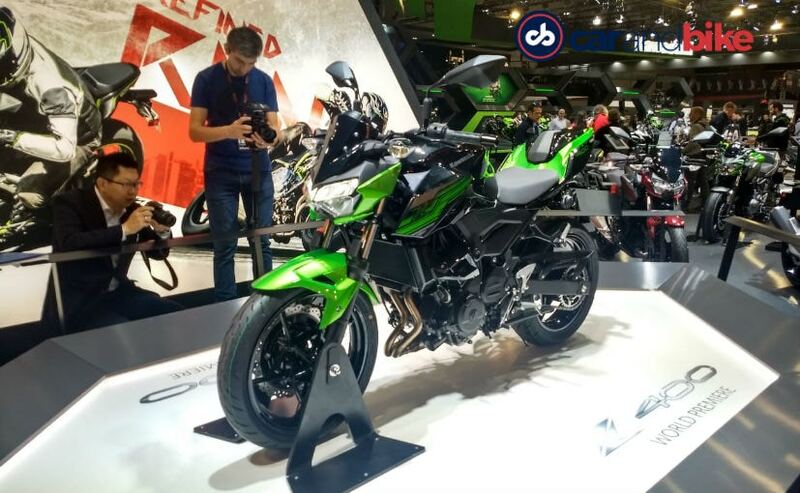 Having introduced the Ninja 400 earlier this year, India Kawasaki Motor (IKM) could follow it up with the launch of the new Kawasaki Z400 in 2019. The Z400 is the naked version based on the Ninja 400 albeit stripped off the fairing, clip-on handlebars and additional weight, while looking like a mini Z900. The bike uses the same 399 cc parallel-twin motor tuned for 44 bhp and 38 Nm of peak torque, while paired with a 6-speed gearbox with an assist/slipper clutch. The bike also comes with fatter telescopic forks up front and a monoshock at the rear, while dual discs take care of stopping power. The Z400 could replace the Z250 in Kawasaki India's line-up but is likely to carry a hefty price tag of around ₹ 4 lakh (ex-showroom), if the Japanese bike maker decides to bring the model to the country. 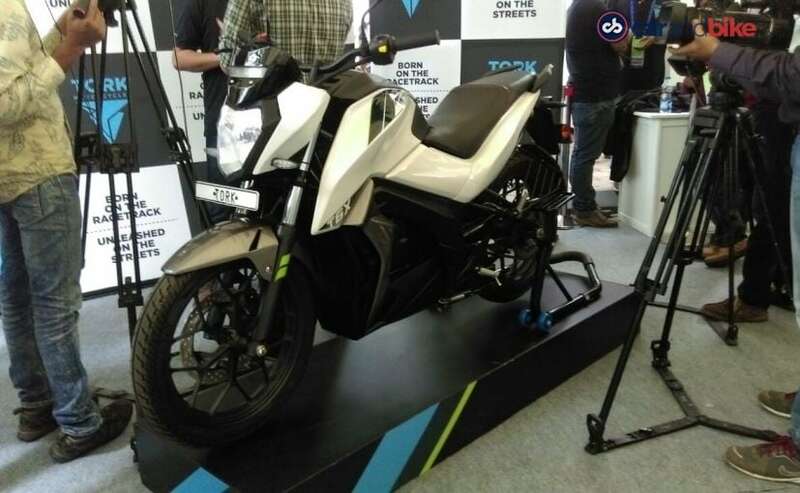 Pune-based Tork Motorcycles showcased the T6X electric bike back in 2016 and while bookings have been open for the offering, the e-motorcycle is yet to be launched in the market. Tork Motorcycles made a name for itself by participating in world motorsport events including the Isle of Man TTXP and the TT Zero Race. With the Tork T6X, the company aims to bring India's first electric motorcycle with performance equal to that of a sporty 125 cc commuter. At the time of unveiling, the company claimed a top speed of 85 kmph and a range of 100 kmph. A lithium-ion battery powers the T6X that could be charged in just two hours. The electric motorcycle prototype also came equipped with features like Mirror link smartphone integration with navigation via a digital console, and more. Announced at a price tag of ₹ 1.25 lakh (ex-showroom), the Tork T6X has not been confirmed for a 2019 launch but we could see it finally arrive next year.